Walton Goggins Wife, Height, Net Worth, Family, Is He Gay? Home Actors & Actresses Walton Goggins Wife, Height, Net Worth, Family, Is He Gay? Walton Goggins possesses one of those faces in Hollywood that is well known by film and television fans but whose name just isn’t one on everyone lips. The talented actor has starred in some of the best projects in recent years and has a filmography that any aspiring actor would be proud to have. The Alabama-born actor has an Academy Award and an Emmy nomination for his work so far. Simply put, he may not be the go-to pretty face to headline a film project, but his talents as an actor are unquestionable. There is so much to learn about the life of the actor and we talk about a few of them below. Read on. The son of Janet Long and Walton Sanders Goggins Snr. was born on the 10th of November, 1971. He was born in Birmingham, a city in Alabama but was raised in a farmhouse in Lithia Springs, Georgia. Walton, during the early days of his life, had a formal education, attending Lithia Springs High School, then graduating to then attend Georgia Southern University. He, however, abandoned his college education after a year at Georgia Southern to move to Los Angeles in pursuit of a career in acting, a passion he has had since he was a child. When he got to Los Angeles, with no real support in the city, he found a job as a valet for various restaurants and also sold cowboy boots as a side hustle. He got his first acting role in 1989 in a television show, In the Heat of the Night. He starred in three episodes of the show but landed his big break in the television film, Murder in Mississippi as Lyle. Not only did Murder in Mississippi elevate Goggins actor profile, but he also met Ray McKinnon, who was a co-star on the film and the two have established a partnership that has produced several successes for Goggins ever since. After the success of Murder in Mississippi, Goggins has appeared in multiple films and television shows, starting with Mr. Saturday Night in 1992 to the most recent, Ant-Man and The Wasp in 2018. In between, he has managed to build a filmography that contains iconic films such as Django Unchained, The Hateful Eight, Cowboys & Aliens, Predators, Lincoln and many more. In television, he has credits in over 30 television projects including shows and movie. He has appeared in episodes of Sons of Anarchy, Vice Principals, The Shield as Detective Shane Vendrell, Criminal Minds, Justified, and many others. His career thus far has seen him come up from a young man who sold cowboy boots to survive to win an Academy Award, getting nominated for a Primetime Emmy Award, Critics Choice Television Award, Television Critics Association award and a few others. He was notably described by Mike Hale, a critic for The New York Time to have a ‘habit of being the best thing about the television shows he’s in’. Walton Goggins’ career has netted him a net worth of $10 million. He has over 33 television projects and over 20 films to thank for his considerable riches. He is also a co-owner of a production company. 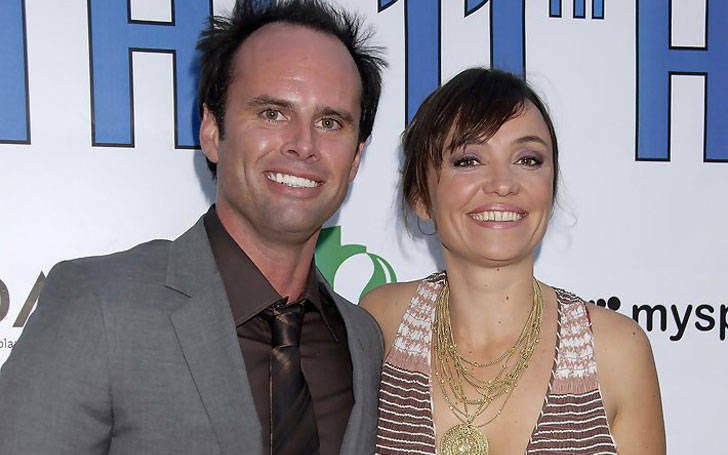 Walton Goggins’ suffered the unfortunate tragedy of losing his first wife to suicide in 2004. His first wife, Leanne Kaun, who was the owner of a Laurel Canyon in California was married to Walton from 2001 until her death in 2004. It took a few years for Walton to get over the death of his wife, but he eventually did and found love again with Nadia Conners, a filmmaker who he married in 2011. The couple gave birth to their first and only child so far, Augustus in February 2011. Walton Goggins once played a transgender prostitute on Sons of Anarchy. His performance on the show as Venus Van Dam was well praised and unfortunately also led to rumors that he was gay. However, Walton Goggins isn’t gay. He is a heterosexual man who has been in heterosexual relationships. He is just a really good actor. Walton is 5 feet and 10 inches tall. His relatively small status is not reflective of the magnitude of a career the Alabama-born actor has had. He also has a 67 kg. He has dark brown hair and hazel eyes.